I need another folding knife like a cat lady needs another kitten. Which is to say, I don’t need another one at all. According to my girlfriend, I’m really, really good on that front. I’ve been scolded on more than one occasion for having knives splayed out all over the house, on the coffee table, the kitchen counter, the bathroom sink. You name it. 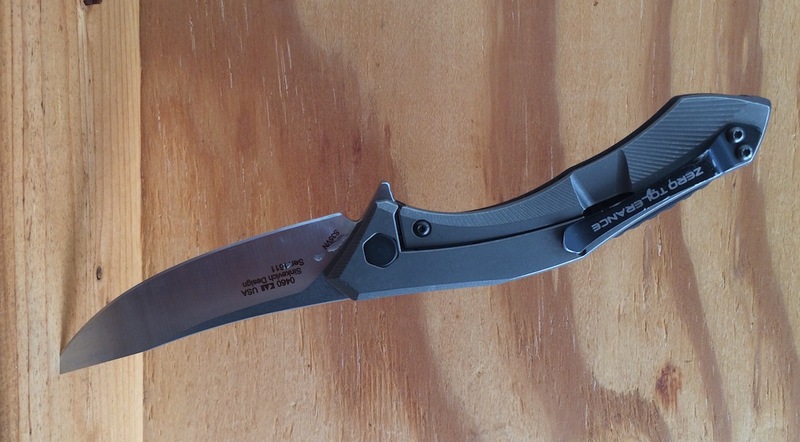 Anyways, despite having more blades than I will ever “need,” when I saw the Zero Tolerance 0460 at SHOT Show last year I knew I had to get my paws on it. It checked all the boxes. It was nothing like I currently owned, it was incredibly cool looking, it was well built. And it was priced just right. A solid option for EDC. 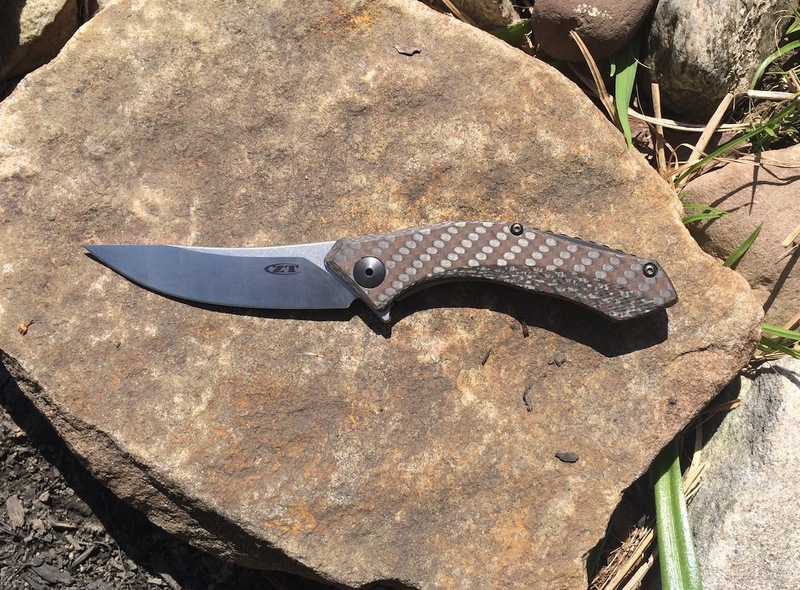 The 0460 is the evolution of one of Zero Tolerance’s best-selling knives, the 0450CF. 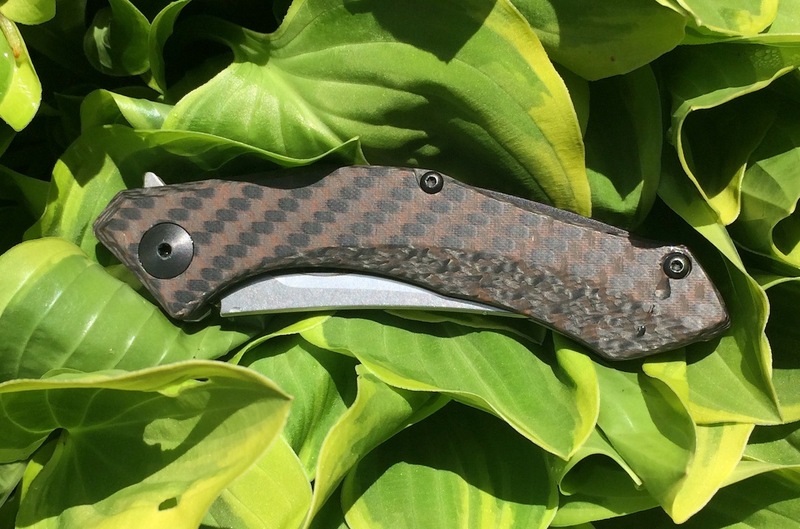 ZT wanted to get more radical with this iteration so they turned to its creator Russian knifemaker Dimitry Sinkevich and asked for a knife with more curves, more carbon fiber, and more flair. What results is a frame-lock folder with an unswept blade and a dramatically curved handle. 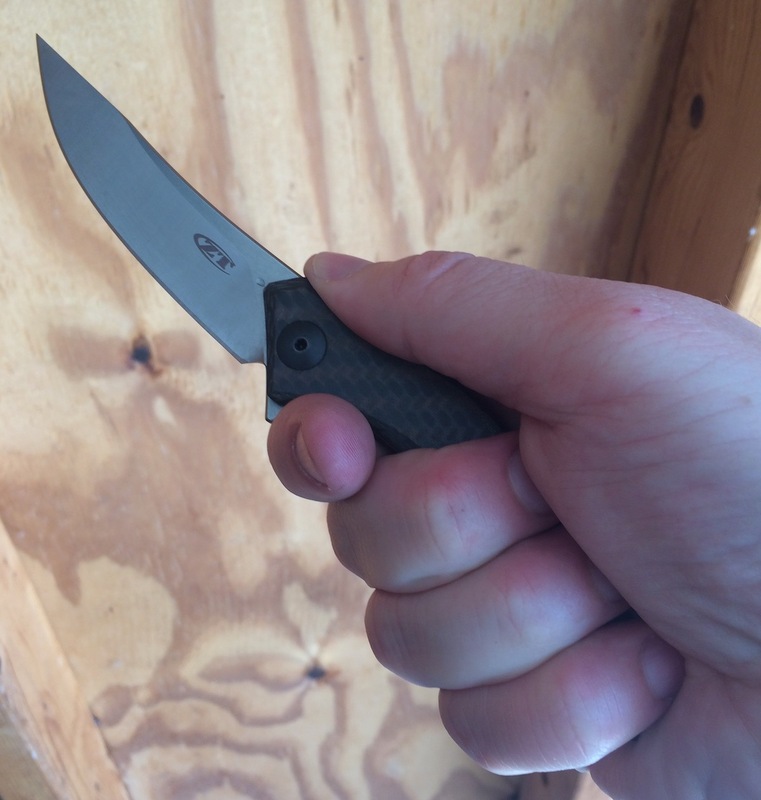 The blade steel on the 0460 is S35VN, an excellent choice given its toughness and ability to hold an edge. For reference, S35VN is what Chris Reeve uses on his production folders. It’s top notch. 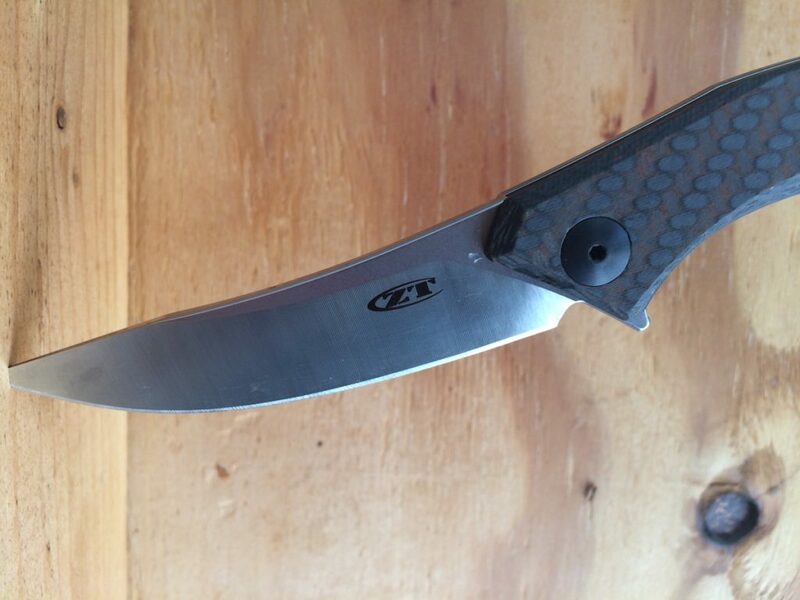 The handle is carbon fiber on the front scale and titanium on the rear scale. To make the knife really pop, the front scale was 3D machined for dimensionality and texture. It’s a cool bronze color. Really catches the eye. The blade is deployed with a simple flick of the flipper. Carbon fiber front scale was 3D machined for dimensionality and texture. Titanium on the rear scale. Length is 7.5 inches with a blade length of 3.25 inches. The best use for this knife is every day carry. What I like about this knife, though, is that it’s a four-season knife. Carries just as well in the summer as it does in the winter. Normally, I rotate my knives and carry gear around the seasons because, as we all know, lighter clothes require lighter gear. Sometimes toughness and size are sacrificed as a result of the rotation. Like, resting my stout Chris Reeve Sebenza for my svelte Spyderco Positron when temps rise and vice versa when temps cool. 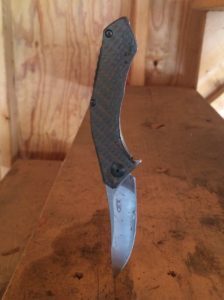 But with the 0460 I never feel under-knifed when I’m wearing jeans and a jacket and could carry a larger blade, nor do I ever feel burdened by its bulk and weight (2.3 ounces) when I’m wearing shorts and a T-shirt. The 0460 is the perfect size for me. It’s tough. It’s reliable. And it really carries well regardless of the conditions. In the hand. the curved handle acts as a guard and prevents the hand from sliding up onto the blade. In my dominant hand. 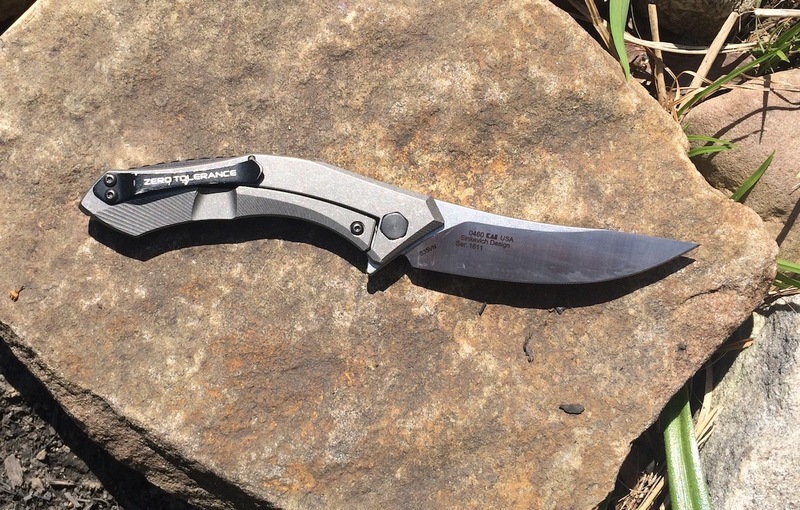 It’s more than just a tool — it’s a weapon in waiting if the SHTF. The 0460 has been on my person through two moves. The move I made going from Kentucky back to New York (Don’t ask why I left KY to go to, of all places, NY). And then a move from my GF’s parents house in New York to an apartment in New York. It’s made its way through a lot of boxes and packaging tape, needless to say. Performance has been stellar. No chips, no rolled edges, no breakdown in the integrity of the frame lock. The curved handle is comfortable to use. It has the added bonus of acting like a guard, which prevents your hand from slipping down the handle and onto the blade. Straighter handles, particularly ones without textured grip or stippling, don’t have this advantage. That’s especially true when using edged tools in inclement weather. The only discernable wear is on the pocket clip. I need to stop bumping into things. The only issue I had with the 0460 was the flipper took awhile to break-in. 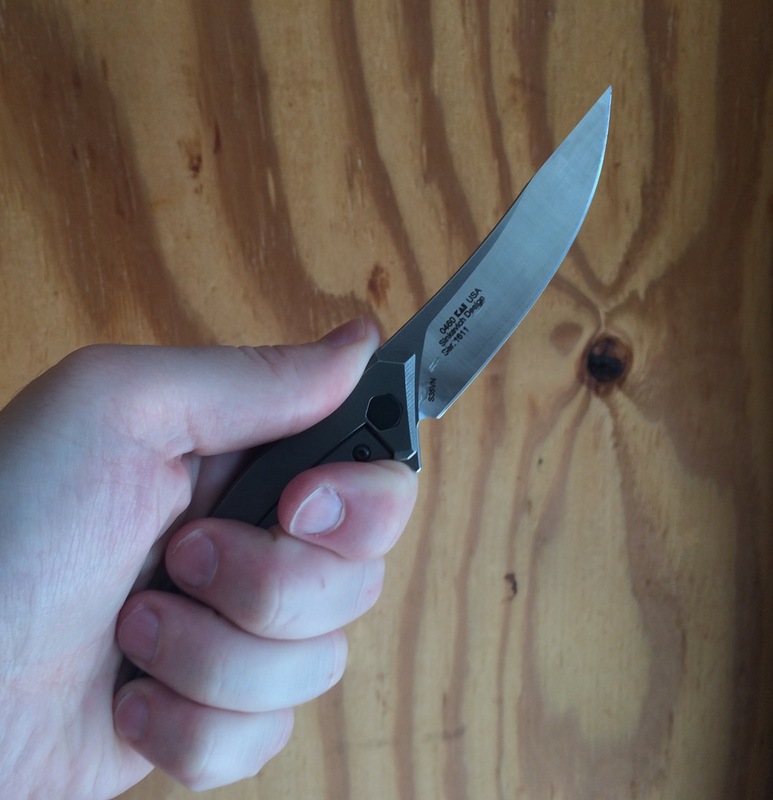 When I first got the knife, it took a lot of pressure from the index finger on the tab to deploy the blade. So much so that it would hurt the pad of my finger. Maybe I just have sensitive fingers. I do spend the majority of my days, indoors, tapping away on a computer keyboard. 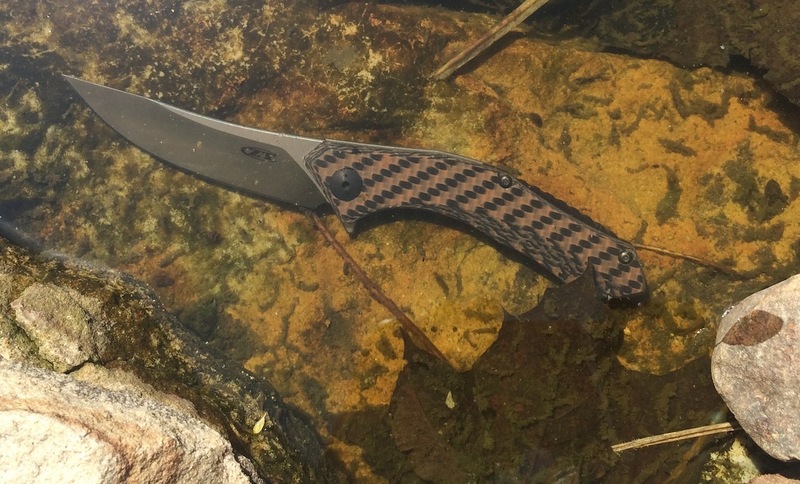 The flipper took awhile to break in and get used to. After sustained use, though, the problem went away. The knife became easier to open and my finger no longer hurt. Part of it, methinks, was the muscle memory of knowing exactly where the sweet spot was on the tab, and part of it was it just needed some time in my hands. Now the action is, well, I want to use the word “hydraulic,” as in liquid in motion in a confined space, but it’s actually lighter than that. It’s almost evanescent in the sense of the force required to pop a soap bubble. A little pressure on the tab and — CLACK! — the blade is deployed (you can see the video from SHOT above)! Like a snake in the grass. The blade is made from CPM-S35VN. A great all-around blade steel. I really love this knife. And would highly recommend it. For those who are looking to cut their teeth (forgive the pun) on a high-end folder but don’t want to drop 400 bills (the price of a Chris Reeve), this is an excellent option. Coming in at the sub-$200 range, you get all the materials you would in a premium folder but for half the price. 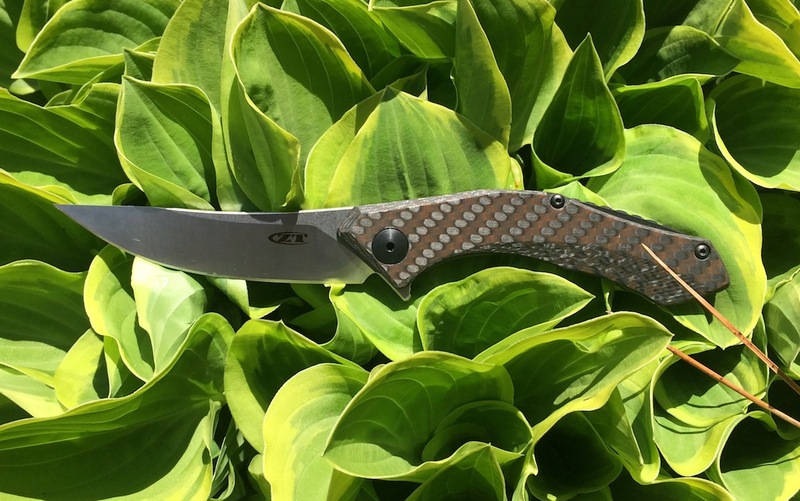 What’s even cooler is that ZT this year debuted a larger version of the 0460. For those who like bigger, stouter knives. 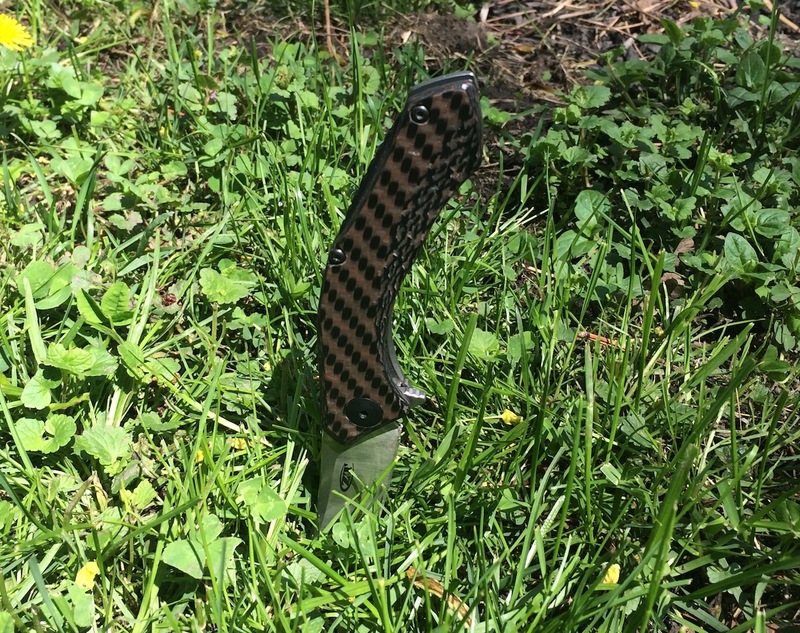 They have one in the lineup, it’s known as the “0462.” For more information visit https://zt.kaiusaltd.com/. 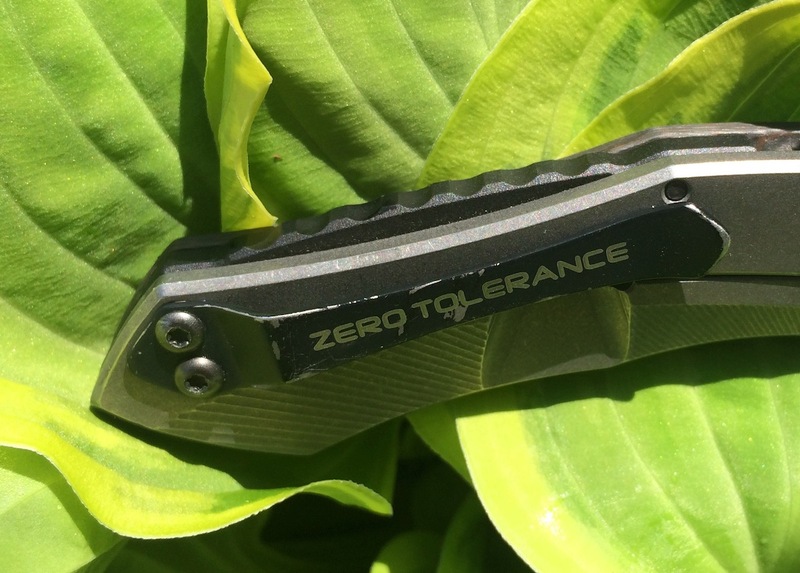 You can also shop for Zero Tolerance knives at KnifeArt.com. Weight is only 2.3 ounces. If I could I would carry a 12″ or longer good quality Bowie all the time.Being an older guy no one would take cuts at the grocery store. LOL.